Pioneer has been known to have a teeny bit of an obsession with homegrown, local Ontario wine and so when we heard this little news tidbit we are about to share, we couldn't hold back our excitement. At the beginning of this month, just days before the election call, the Wynne government passed legislation on a pilot program to allow Ontario wineries to sell their delicious and mouthwatering vintages at farmers' markets. This works out perfectly for Danforth East, since we have not one but TWO farmers' markets here. The energetic and passionate team behind the East Lynn Farmers Market was on this like a toddler on fish crackers - they obviously know their audience here: hardworking young, hip parents who like to relax with local wine after the juniors are in bed. Starting next Thursday, June 5, three Ontario wineries will be selling their wares at the market: 13th Street Winery, Pillitteri and Tawse (which is the one we are most excited about!). 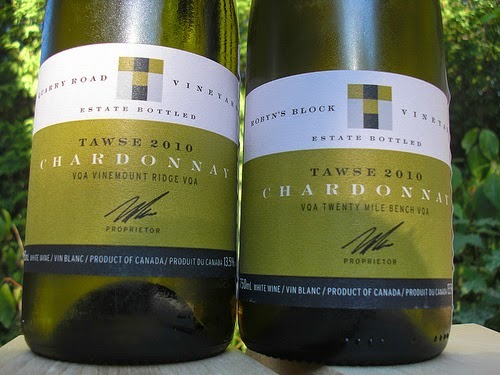 The 2010 Tawse Sketches Chardonnay was one of the best values at the LCBO for Ontario chard, and in recent years, their beautiful wines have won not one but 11 awards at the Ontario Wine Awards. 13th Street is also a rising star who has some great vintages on their hands this year. So, next Thursday evening, instead of waiting in line at the ElCee for your generic, sugary shiraz blend from Australia, head on over to East Lynn Farmer's Market and take a taste test for yourself. Cheers! Cool! Pick me up a bottle! Cool! Pick me up a bottle! I will head to Dundas farmers market to see if they are selling wine there too.